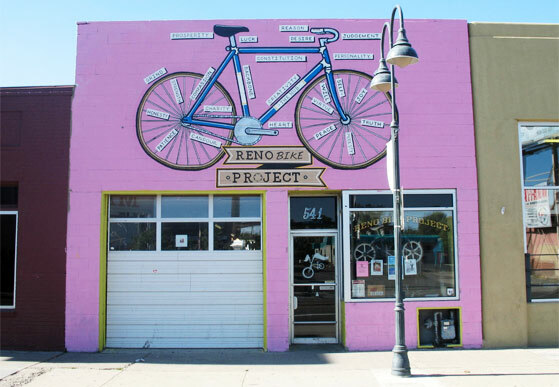 Reno Bike Project - Reno Bike Project | Reno Bike Project (RBP) is a non-profit community bicycle shop and resource for the Truckee Meadows committed to creating a nationally recognized, cycling-friendly community through education, cooperation and advocacy. 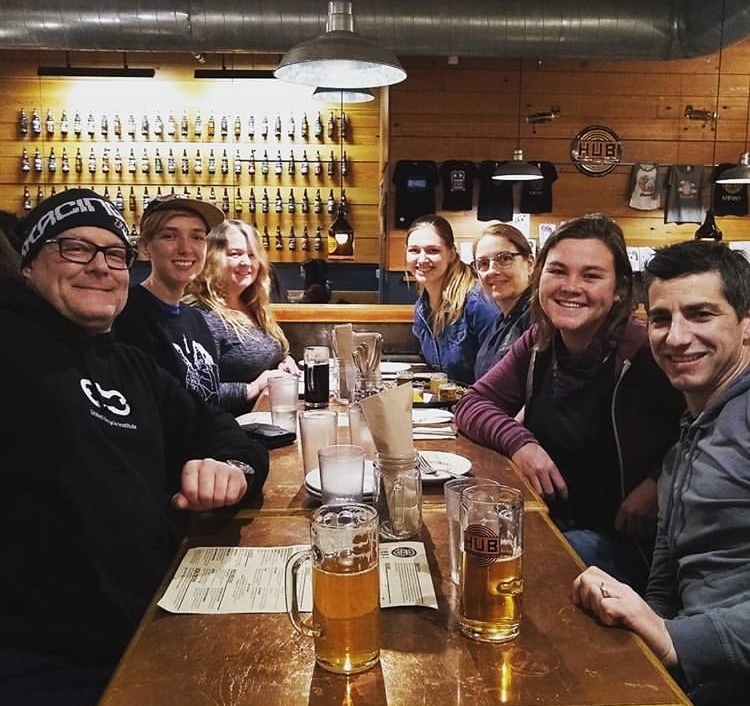 The organization is built around the belief that the bicycle is the world’s greatest, most utilized mode of transportation and that every individual, regardless of age, gender, race, or class has a right to afford, maintain, and enjoy one. Coming April 20, as part of our 4th Street Grand Opening, it’s our first Bike Swap in YEARS! In addition to giveaways and discounts, a raffle, alleycat & other games at the Grand Opening celebration, we will also have great deals on good-as-new, used, and vintage bikes. Even if you aren’t necessarily interested in buying a bike, browsing can be lots of fun for the family or pack of pals. If you’ve got a bike (or five) you’re ready to let go to a new home, avoid the Craigslist/FB Marketplace weirdos trying to haggle or trade and let RBP handle the sale for you while you spend the day out or relax at home. Those who consign bikes through RBP have flexibility to drop the bike off at our shop on 4th St early (starting April 15). All bikes that do not sell should be picked up between 4-5:30pm on the 20th—or donated to RBP, who can issue you a tax-deductible donation receipt. 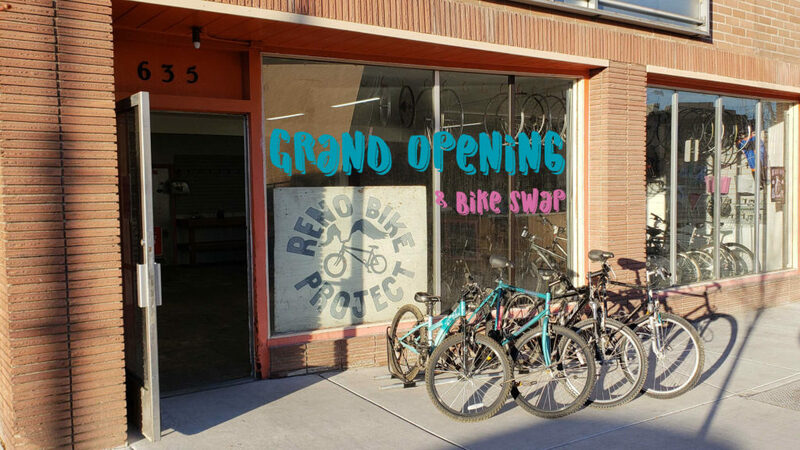 You’ll take home 80% of the sale price, while a 20% consignment fee will benefit Reno Bike Project’s education, advocacy, and outreach programs. This is the one time (every few years) when we offer the opportunity to consign, so don’t miss the occasion to put the bikes you’d like to sell in front of one of the best groups of folks looking to buy! Please contact Genevieve with any questions and drop your bikes for sale off at 635 E 4th St. starting on 4/15! Calling all Reno Bike Project friends & fam, past, present, & future! Join us for our 4th St. second shop’s Grand Opening celebration and a day of contests and games, food & drink, giveaways and…[checks notes] bikes! We have talked and dreamed about setting up a second location for such a long time, and thanks to our wonderful, diverse, engaged cycling community, we finally have. We are so excited to share it with you! Further details TBA, so RSVP on Facebook for updates!! Read our April Newsletter here! And subscribe for monthly news in your inbox! Register for Spring Break Ride Camp! Know a middle or high school student that wants to improve their bike handling and maintenance skills? Who’s interested in riding to, and playing in, our beautiful Washoe County Parks? 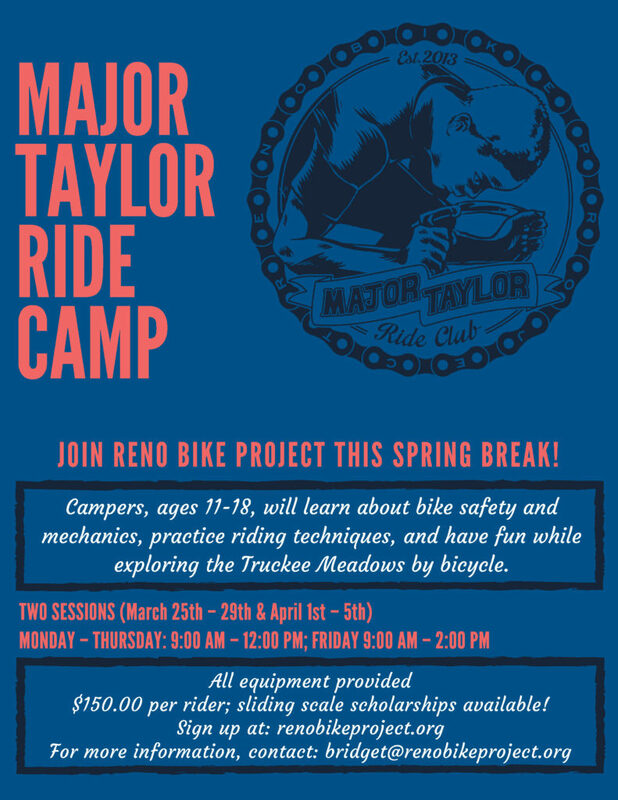 Well, encourage them to ride with Reno Bike Project this spring break through our Major Taylor Ride Camp. All equipment and stoke provided! More info is on the flyer below, and venture forth using the links below. Requirements: Youth must be 11-18 years old, stand between 4’10 – 6’7, and know how to ride a bicycle. Participants should arrive having eaten breakfast and wearing comfortable/weather-appropriate clothing, and closed-toe shoes. Read our March Newsletter here! And subscribe for monthly news in your inbox! Matt is an avid lifelong cyclist. He believes we would all be happier and better off if we spent more time in the saddle. He has 35 years experience as a Rigger, Rope Access Technician, and Businessman. Matt is currently the Director of Safety and Training for Rhino Staging and the President of Rhino Access. He is a past President and Board Member of the Society of Professional Rope Access Technicians. He is a Certified Safety Professional, an ETCP Certified Professional Rigger, and a SPRAT Level 3 Rope Access Technician & Evaluator. He has earned Master’s Degrees in Business Administration and Experiential Education. The class structure was short lectures and a large amount of time for hands-on learning of all systems, on different types of bicycles. The class was limited to 15 students. Three different instructors alternated through lecture topics, and during hands-on portions, all three were available to answer questions, provide guidance and evaluate progress. The class met Monday through Friday for eight-hour classroom instruction periods. 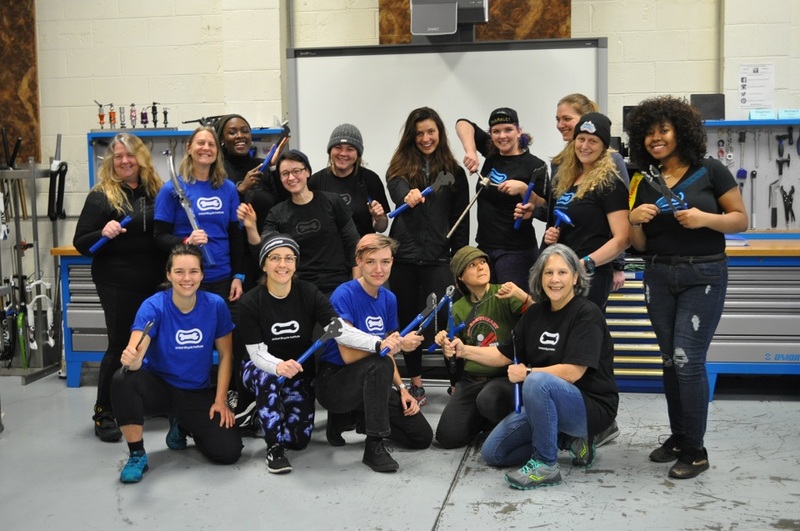 Students also had an opportunity to attend four, two-hour evening sessions to work on class exercises or personal bike projects. Students in the class ranged in age from 18 to 65. Most either currently work as mechanics or want to open their own shops. A few students were not currently employed as mechanics but were taking the class to develop skills to perform professional-level service on their own bicycles. One other mechanic was employed in a community bicycle shop. At the end of the classroom training all students had the opportunity to take a written exam to receive certification as a “Bicycle Technician.” I was one of 12 students in my class to pass the exam and receive this certification. During the class, I learned new techniques in wheel building, hydraulic brake systems, bicycle fit, and suspension service and setup. 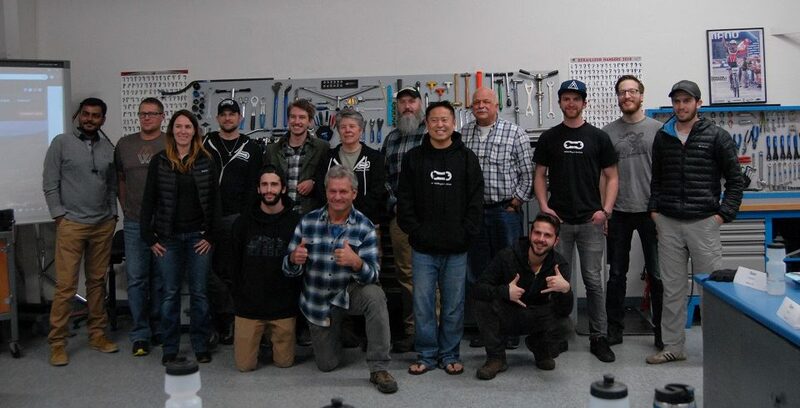 This class was my first opportunity to fully service a bicycle suspension system. One of the most important things I learned is that each manufacturer provides a large amount of technical information specific to their equipment. This information is available and should be reviewed as necessary before repairs and final adjustments are completed. The new techniques and repair methods I learned at this class will help me become more efficient with my time on each repair. I would encourage my co-workers to consider attending this training. Thanks for the yarn, Dave! 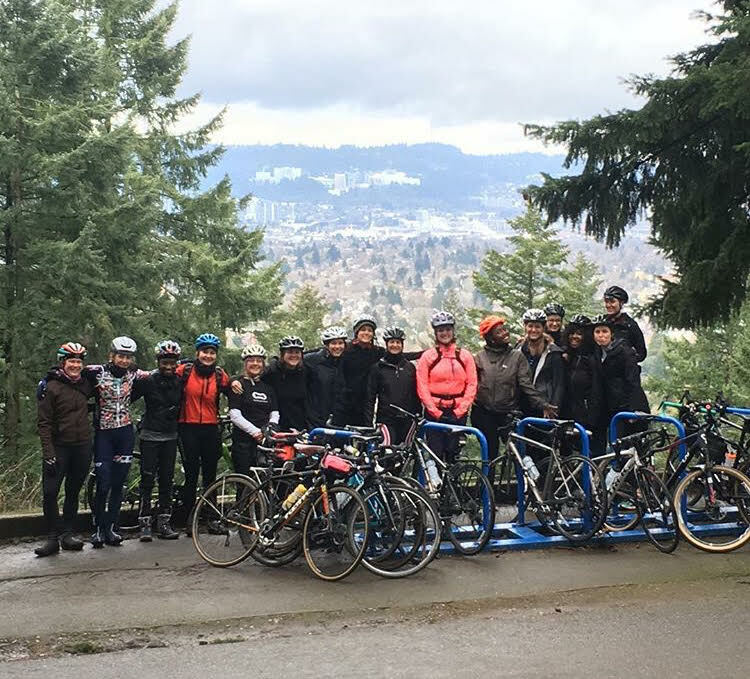 In fact, we do have one other staff member currently attending the same courses in Portland on a QBP Women’s Bike Mechanic Scholarship. We are looking forward to hearing from Bridget about her experience, next. Read our February Newsletter here! And subscribe for monthly news in your inbox! Read our January Newsletter here! And subscribe for monthly news in your inbox!